The Veterans program at San Jose City College is the liaison between veterans, or their dependents, and the Department of Veteran Affairs. Our goal is to provide Veteran students with services and resources to assist them as they embark on achieving their educational goals. In collaboration with various resources on campus and Veteran community organizations/resources, we promote success by assisting students to overcome social, academic, transfer, and/or personal challenges. 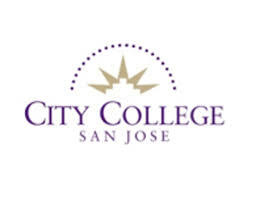 From its modest beginnings in 1921, San JosT City College has grown into a world-class institution enrolling about ten thousand students each semester. It serves Silicon Valley, known internationally as a center for innovation in technology and research, as well as a region whose population is growing due to the high quality of life residents enjoy in the southern San Francisco Bay Area.